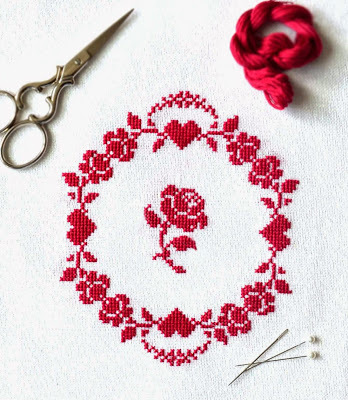 Love this hearts and roses pattern by Sewfrenchembroidery.com . The pattern/ chart is available free to download at her website. This piece would look amazing on a lacy card.